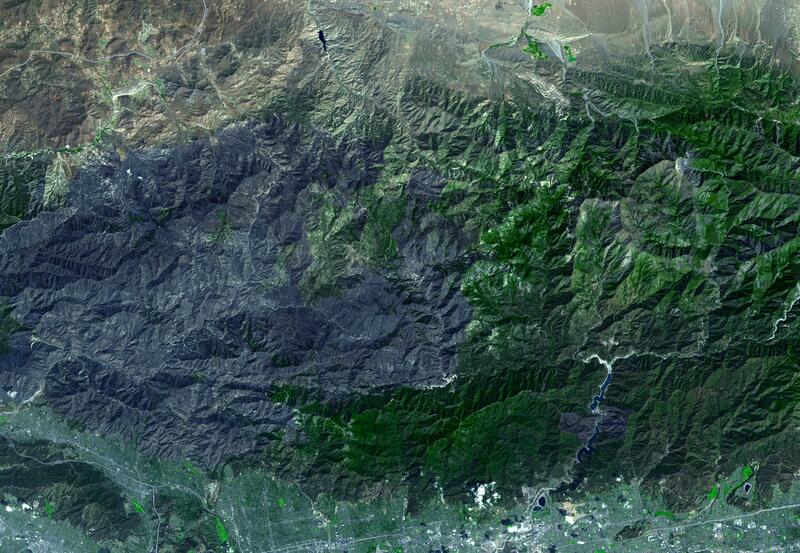 On September 15, 2009, the Advanced Spaceborne Thermal Emission and Reflection Radiometer (ASTER) instrument on NASA's Terra spacecraft captured this simulated natural color image of the Station fire burning in the San Gabriel Mountains above Los Angeles. 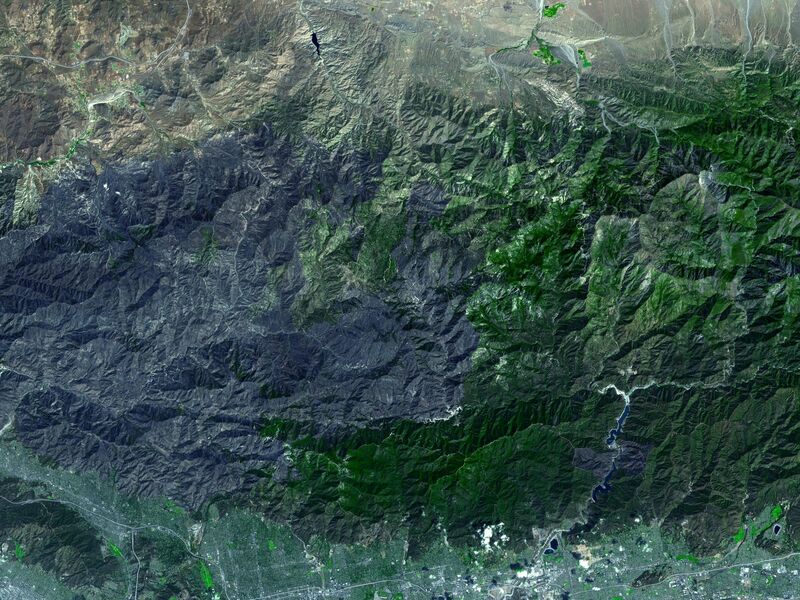 The fire started on August 26 near NASA's Jet Propulsion Laboratory, and soon grew to become the largest fire in Los Angeles County history. Three weeks after its start, the fire had consumed more than 160,000 acres of forest (approximately 251 square miles), leaving behind a charred, blackened landscape, as it spread eastward. 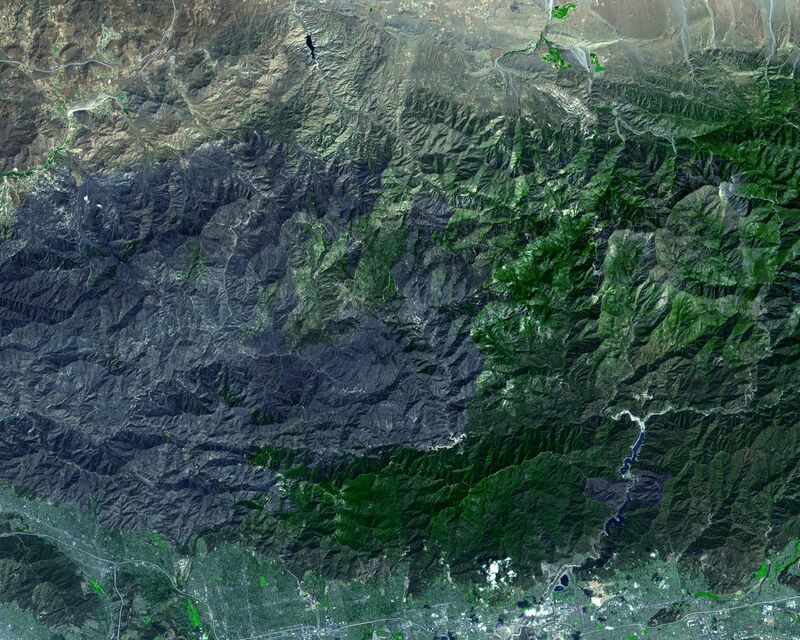 As of the date of this image, containment stood at 91 percent of its perimeter. 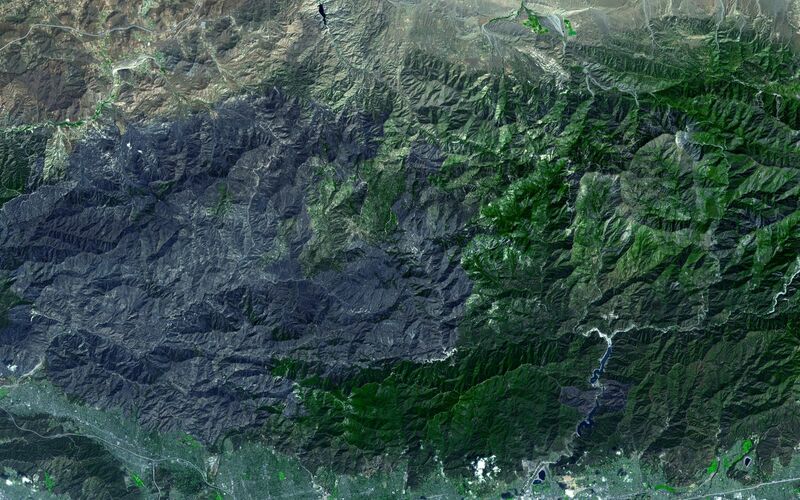 The large dark gray area dominating the image is the evidence of forest and chaparral destruction in the eastern half of the burn area.